Ok so important announcement: Essie Weingarten is obviously my real mom. 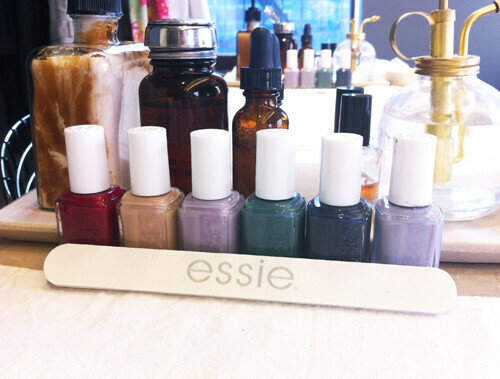 I’m doing a GIVEAWAY of the entire Essie Winter Collection (6 polishes). I had the ridiculous, insane privilege of chatting with Essie at a breakfast she threw the other day at Ten Over Ten. She is really one of my heros - if you don’t know the story of her cult classic empire, which is ~30 years young and was acquired in 2010 by L'Oreal (THE dream of most beauty brands), you should really read this article. She was so refreshing - she just says whatever and it’s so insightful and incisive. I asked her how the color trend forecasting/decision-making that is the pure heart of her brand has changed since the L'Oreal acquisition … because those companies have a kind of trend forecasting machine going on … and she said they quickly realized she had a “gift from God for picking color” can I get an Amen? and they basically give her free reign. I mean she just walked into a meeting full of guys and announced the color name “Size Matters” and they approved it. True story. (She was talking about diamonds though … obvz). 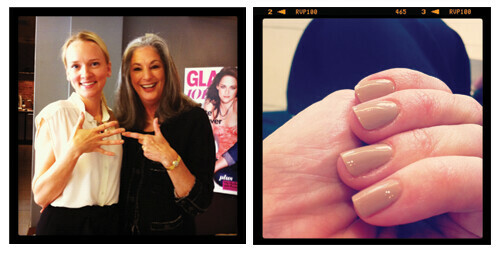 So, yeah, nothing has changed … except thankfully we can get Essie at the drugstore now. Anyway, you can win the whole magnificent Winter Collection, plus a cute silver bag and an emery board. 1. Do ONE of the following…. reblog this post ORfollow Cult of Pretty on Bloglovin’OR follow Cult of Pretty on tumblr OR subscribe via email. 2. Leave a DISQUS comment below and tell me WHICH COLOR WILL YOU TRY FIRST - YOU HAVE TO WRITE THE NAME (see above)! Don’t comment in “Ask Me Anything."